At Dunteman Turf Farms, our Premium Bluegrass sod is one of our most prized possessions and can be sold throughout Elburn, DeKalb, St. Charles, Geneva, Aurora, Naperville, Elgin, Batavia, Yorkville and surrounding areas of Illinois. Our Premium Bluegrass sod is a blend of elite turf grass varieties which have consistently performed in the top half of the U.S. National as well as other officially recognized turf trials in overall turf performance and disease resistance. As an experienced sod supplier, Dunteman Turf Farms carefully chooses varieties for their individual strengths, tolerances, color and adaptability to job site conditions. Bluegrass sod can tolerate up to 60% shade, but performs best in full sun. You have the choice of picking up the sod at our Kaneville farm or having it delivered to your site. Typically, a ½ ton pickup has the capacity to hold one pallet (60 rolls), but it is not uncommon to fill minivans with instant lawn. 10 – 600 sq.ft. : $ 0.45/sq.ft. 601 sq.ft. or more: $ 0.40/sq.ft. Includes Western Fox Valley area 30-60 minutes from Kaneville. All locations greater than 1 hour from Kaneville. A $10.00/pallet deposit will be required on all orders. 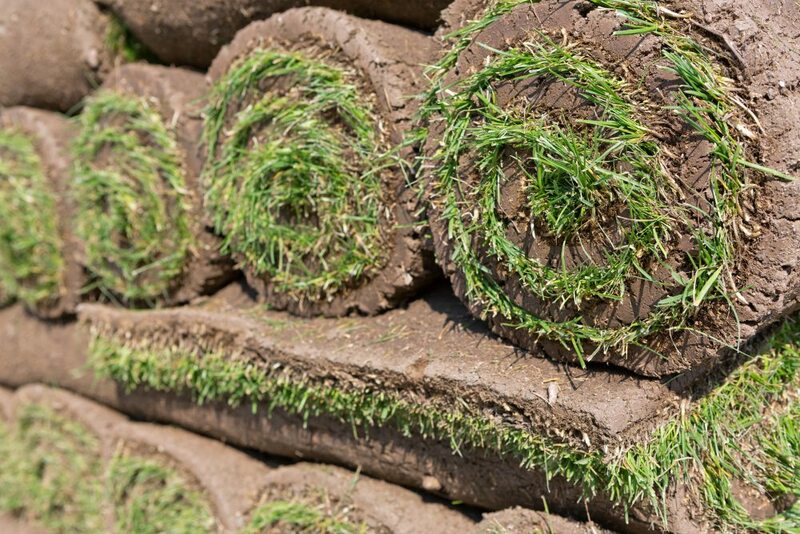 Dunteman Turf Farms urges you to contact our professional team with any questions regarding our sod products. We look forward to speaking with you soon. Dunteman Turf Farms provides premium sod supply proudly serving Elburn, DeKalb, St. Charles, Geneva, Aurora, Naperville, Elgin and Yorkville, Illinois.